A very nicely presented first floor maisonette found on this popular development. The TWO BEDROOM accommodation which is gas centrally heated and double glazed, offers a living room with modern fitted kitchen off, and bathroom. Also with two parking spaces and pleasant views. The Property: A very nicely presented first floor maisonette found on this popular development. The TWO BEDROOM accommodation which is gas centrally heated and double glazed, offers a living room with modern fitted kitchen off, and bathroom. Also with two parking spaces and pleasant views. Entrance door, stairs rising to first floor, large storage cupboard with wall mounted boiler. 9'9" x 7'2" (2.97m x 2.18m) max Range of wall and base units with work surfaces over and splashbacks, stainless steel single drainer sink unit with mixer tap, built-in oven and hob with extractor hood over, fridge, freezer, (fridge and freezer will not be replaced if they break down), space for automatic washing machine, spotlight rack, coving to ceiling. 10'8" x 9'9" (3.25m x 2.91m) Double glazed window to rear, built-in double wardrobe, coving to ceiling, radiator. 9'5" (max) x 8'7" (2.877m max x 2.617m) Double glazed window to rear, built-in wardrobe, coving to ceiling, radiator. Suite of panelled bath with shower over, low level wc, pedestal wash basin, radiator/towel rail; access to loft. There is a communal garden and allocated parking for two vehicles, we are informed. We are informed by Cheltenham Borough Council that the property is in Band 'B' with £1,237.35 being payable for 2018/2019. 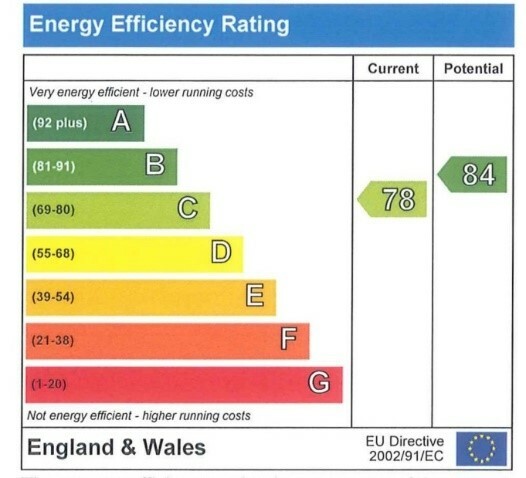 Where actions of the tenant results in the agent (or nominated contractor) attending the property, time to remedy the situation is charged at the prevailing rate:- £30 per hour (inc VAT - equating to £25 plus VAT) plus any actual costs incurred Unpaid Rent/Returned Payments Interest at 8% above Bank of England Base Rate from date due.